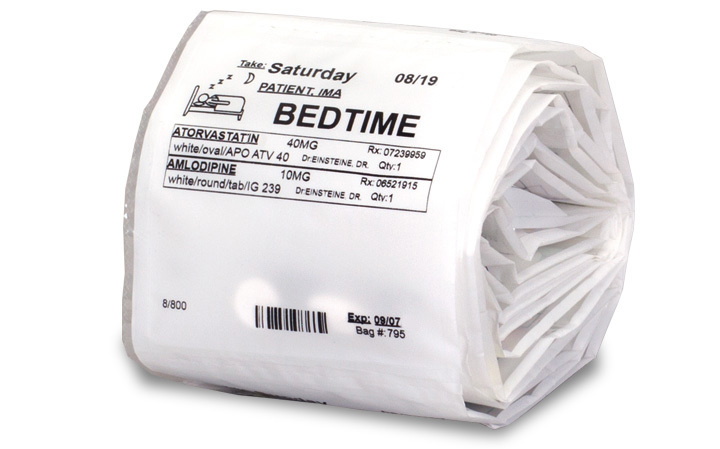 All of your medications arrive on one roll in a convenient recyclable box. The medications are placed in perforated pouches for easy separation. Once the MedPack arrives you are ready to go. 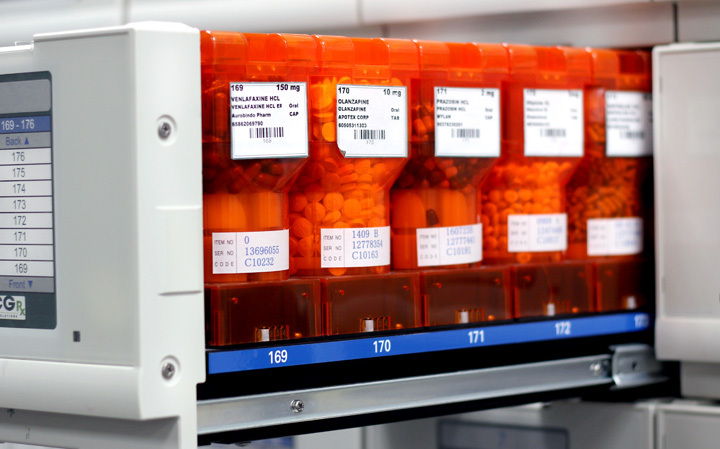 Each MedPack is filled by an automated dispensing system and checked throughout the process by a team of Pharmacists. Each pouch is also inspected by a state of the art camera system for accuracy and accountability. 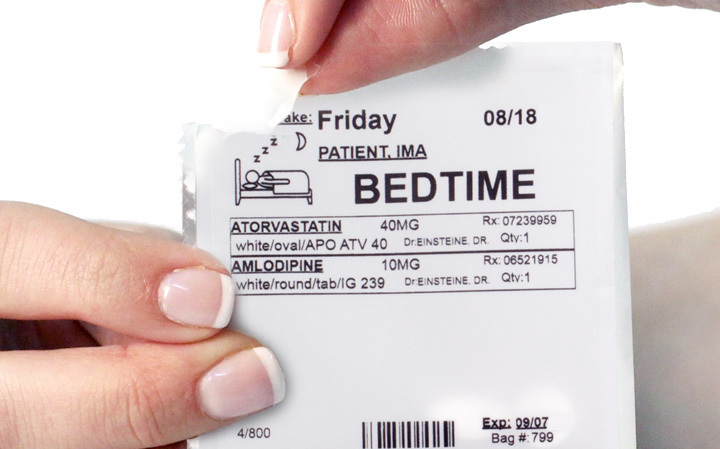 Each pouch of the MedPack is clearly labeled with the day and time the medication should be taken. Over the Counter medications can be added to the Medpack. Keeping track of your medications has never been easier! MedPack pouches have an easy tear edge that makes it easy to open. No more struggling with plastic containers and lost pills. 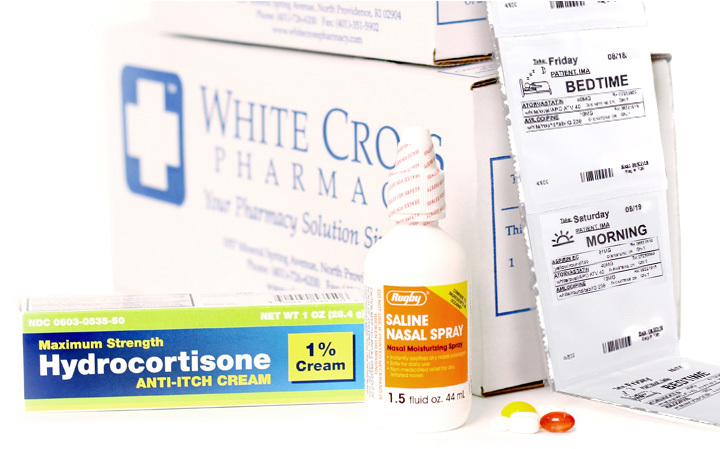 Medications that are not in pill form (inhalers, creams, solutions) can be added to your monthly MedPack delivery. 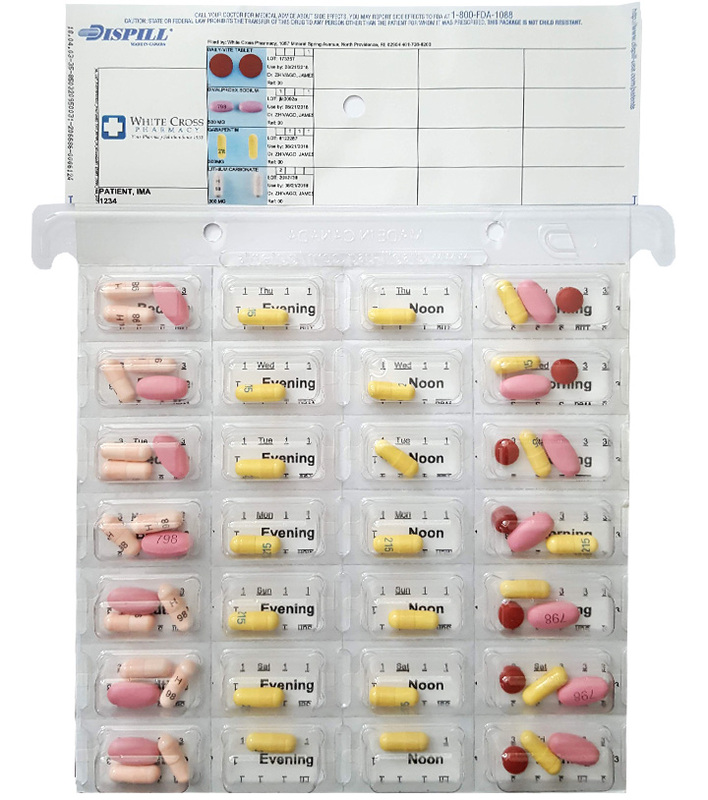 For customers who find it easier to track medications by seeing a day or week's worth of pills at once, we have the MedBook. This format offers pre-sorted medications packaged into 4 cards, one for each each week of the month. 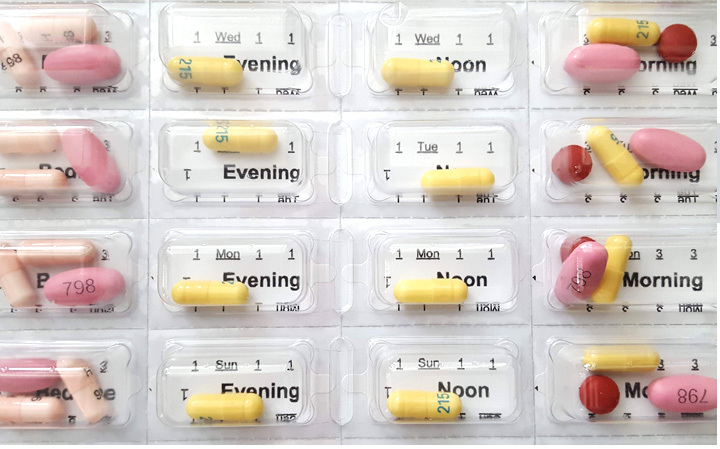 This convenient format allows customers to see what pills they've already taken and which are remaining for that day or week. Contact us to learn more! sign up in only 3 minutes!